The Holmes Report is launching the sixth edition of its landmark survey into creativity in the PR industry. 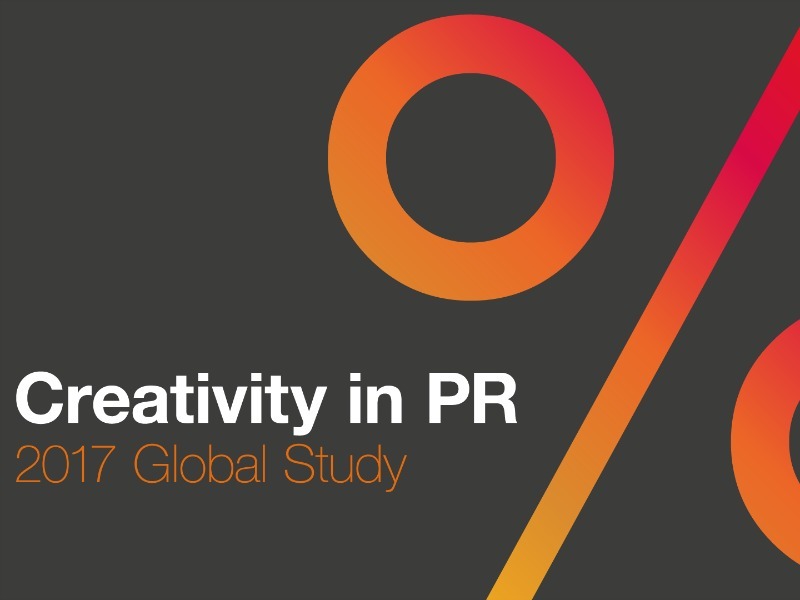 The Holmes Report and NowGoCreate are launching the sixth edition of their landmark survey into creativity in the PR industry. Conducted in association with Ogilvy PR, the Creativity In PR study seeks to analyze the PR industry's efforts to develop win the war for ideas, in a world where traditional boundaries between brand-building disciplines are breaking down fast. Last year's study attracted more than 500 responses and explored whether the PR industry has what it takes to win the war for ideas. This year, the survey will again investigate the PR industry's ability to develop breakthrough ideas, and the types of talent that are helping them do this. The 10-minute survey can be accessed here — all respondents are welcome. In addition, the study will also poll a small group of senior in-house CMOs and CCOs to explore how their creative requirements are changing, in comparison with the results generated by the main survey. Once again, the study will survey attitudes and opinions towards various key industry issues, including creative quality; definitions of creativity; factors that drive great work; training and recruitment; and the client/agency relationship. The study is co-authored by the Holmes Report and creative training consultancy Now Go Create. The 10-minute survey can be accessed here — all respondents are welcome. Final deadline is 4 October.